I once heard an old man of God preach on “marking men for God”. He pointed out that Abraham “marked” Isaac for God, Moses “marked” Joshua for God, Elijah “marked” Elisha, and Paul “marked” Timothy. What he meant by “marking” men for God was “disciplining” or “mentoring” them in “the ways of God”. Once a young preacher experiences the reality and power of the Holy Spirit he will never again be satisfied with nominal Christianity. Too long we have seen Bible Colleges and Seminaries turn out graduates who are more professional than spiritual, more politically correct than passionately courageous for Biblical Truth. They generally know nothing about “the ways of God”. In Psalm 103:7 we are taught “He (God) made known his ways unto Moses, His acts unto the children of Israel.” I was taught by my pastors through their being a godly example to me. “Iron sharpeneth iron”. I witnessed the power of the Holy Spirit enabling them to pray and preach beyond their ability. It was supernatural, and I longed for the same witness of God in my life and service for Him. I love the account in Exodus 33:4-11 where Moses pitched the tabernacle of the congregation outside the camp. It goes on to teach us that Moses went out to the tabernacle of the congregation where he entered in and communed with God face to face. Joshua went along with Moses but when Moses returned to camp Joshua lingered in the presence of God. God used Moses to train Joshua in “the ways of God” so one day he could replace Moses as the leader of Israel. Where are the men of God in our generation who fear God, obey His word, and long for the power and anointing of the Holy Spirit to rest upon them and their ministries? Daniel summarized it this way, “The people that do know their God shall be strong, and do exploits” (Daniel 11:32b). 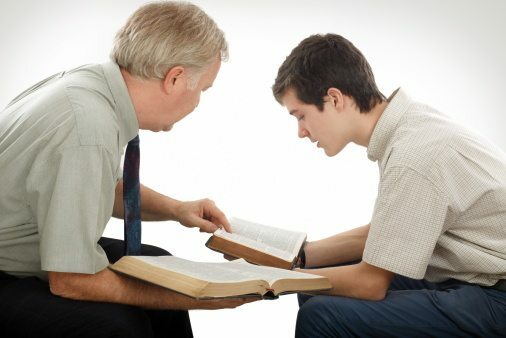 Please pray that God will raise up such an army of young men who will train with us at Peachtree Baptist Church and Georgia Baptist College and go out armed with the truth of God’s Word understanding “the ways of God”. Such an army of young people can and will do exploits in these last days for the glory of God.